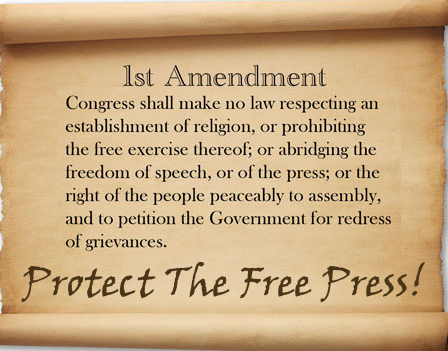 Today, August 16th, 2018 is the national day to support America’s Free Press. The idea began with the Boston Globe proposing that all Newspapers Rally To Protect The Free Press. The coordinated effort for an editorial response from publications across the U.S. to President Donald Trump’s frequent attacks on the news media. Beginning as early as one month after being sworn into office, Trump labeled the News Media “The Enemy of the People”. According to the Washington Post, he has “used the word “fake” — as in “fake news,” “fake stories,” “fake media” or “fake polls” — more than 400 times” in the past 19 months.